If you are looking for a truly unique Christmas gift for somebody special, this basket is just what you need! 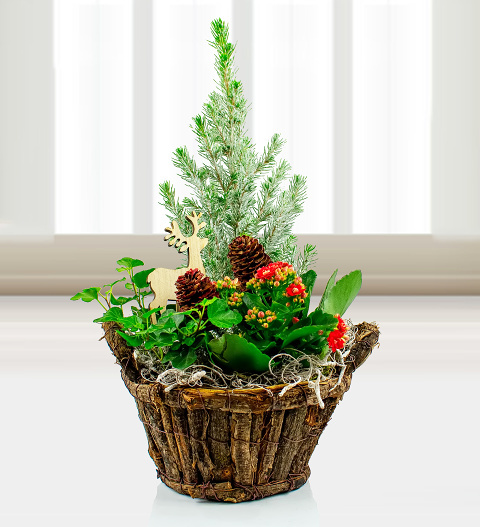 Our team has selected the most festive and cheerful of plants for this carefully assembled holiday arrangement. Perfect for friends, family, co-workers, and anyone you want to spoil this Christmas.